One of my favorite parts about Chicago were all the elevated points of views around the city. For example, I mentioned before this image was taken from an L train station which was about two stories above the ground. 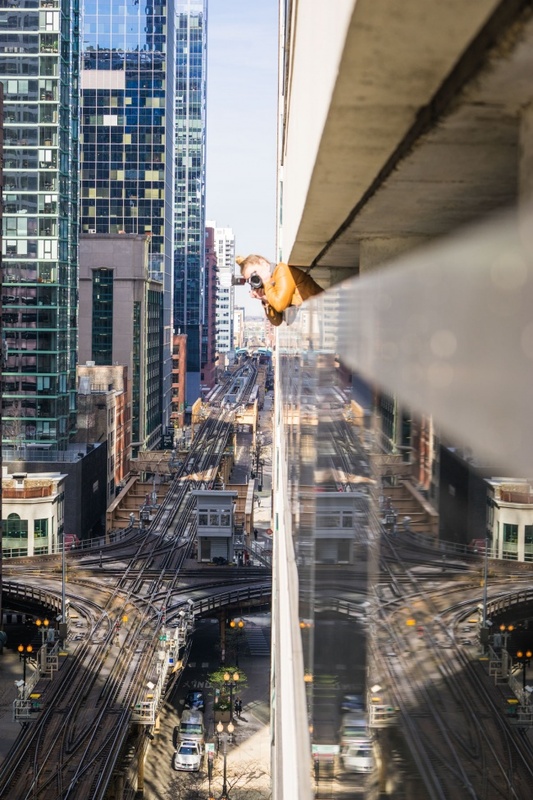 Besides the L train, there were many views from rooftops and parking garages that made it such an easy city to photograph with so many viewpoints. This image was taken at a parking garage. My friend, Andy wrote a city guide (which I plan on doing as soon as I go through all my images) and mentioned this one in particular. I loved the reflective surface of the building and decided this had to be one of the spots I visited. It was so great that I actually ended up visiting this spot twice in one weekend. Luckily, it was close to our hotel so it was super easy to stop by. But the funny part is that there were other photographers there both times I went. Andrew’s not really one to be in my photos so I’m glad I was able to capture this photographer in her element. She had quickly just popped her head out, I think to check her settings and then popped right back into the garage but I am glad I was quick enough to actually capture this moment. It was around 9a in the morning and pretty bright outside but one of my favorite parts about this image is the railing closest to my camera. I just love how it’s glittering in the light. Probably a detail only I would notice, but it just captures my eye. Since I visited this spot on two different occasions, be prepared to see more from here. My camera settings for this image is F8 at 1/320th sec and ISO 250 with my Sony A7II and 70-200mm wide angle lens. If you caught my blog post from last week, then you will know that tomorrow I’m headed out on a road trip to Austin, Texas. One of my best friends in the entire world is moving there and asked me to ride along with her. I’m sad that she’s leaving but looking forward to spending just a little bit more time with her. Similar to the road trip that we did 2 years ago, we’ll be spending our first night in Nashville, Tennessee. It was both of our first time in the city and I am looking forward to going back. I remember having a blast last time just walking down Broadway and checking out the live music and all the colorful lights. I expect to be doing the same this time around. After that it will be just a straight shot from there to Austin. Unfortunately we’re not stopping to go sightseeing or anything along the way because she wants to get down there as soon as possible but looking forward to spending a few extra days in Austin before flying home. So if you have any food or photo recommendations, please let me know! 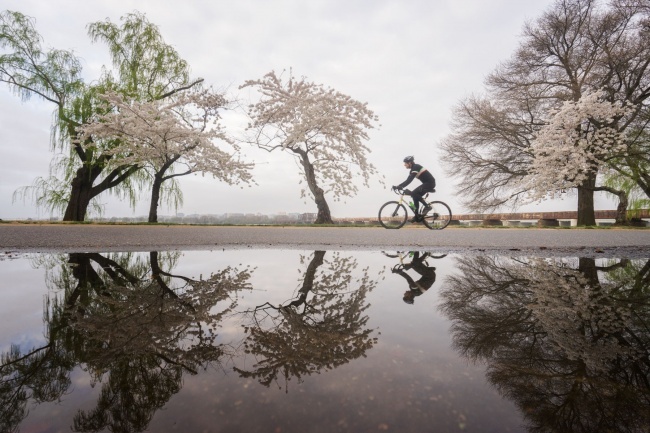 Luckily we planned this trip after the Cherry Blossom peak bloom announcement so I know I’ll be back home just in time to capture the flowers. Click here to watch our last road trip together – we drove all the way from Washington DC to San Diego, California. 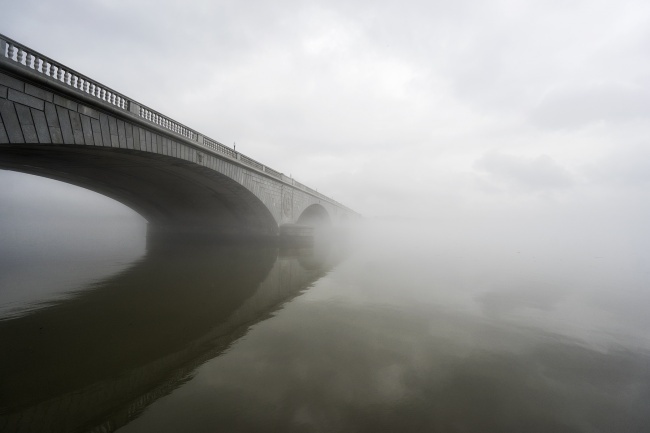 This image is of the Arlington Memorial bridge on a particularly foggy day. I figured it symbolized our road ahead but also not looking forward to saying goodbye to Sue when I have to catch my flight back to DC. My camera settings are F5 at 1/500th sec and ISO 320 with my Sony A7II and 16-35mm wide angle lens. 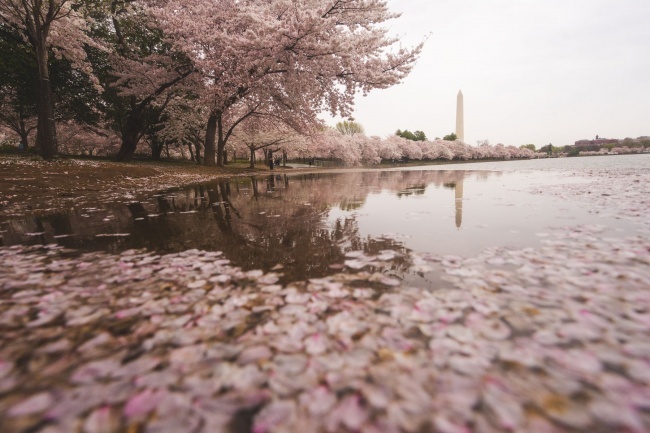 Last week Capital Weather Gang and the National Cherry Blossom festival both announced their predictions for the peak of cherry blossom season this year. It’s not always accurate, but they are usually pretty close. So I think I can confidently say that we should expect the cherry blossoms to start their first blooms the first week of April. I C-A-N-T W-A-I-T. It’s always my favorite time of year and literally when I will probably be coming out of this winter hibernation I’ve been experience ever since the last snow storm here in Washington DC. Sometimes I do feel a little pressure to come up with new composition ideas but once I actually get to the Tidal Basin, I’m always inspired by the flowers. 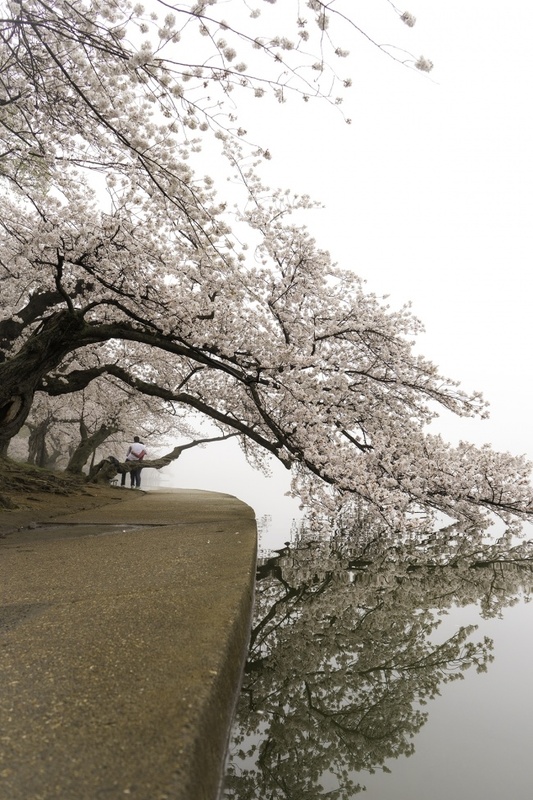 Honestly, the city doesn’t get any prettier than when the cherry blossoms are here. So if you’re in the area, definitely mark your calendars for the 1st week of April. It will be a good time and if we run into each other, please say hello. It’s always great meeting people who read the blog. This image was taken 2 years ago. 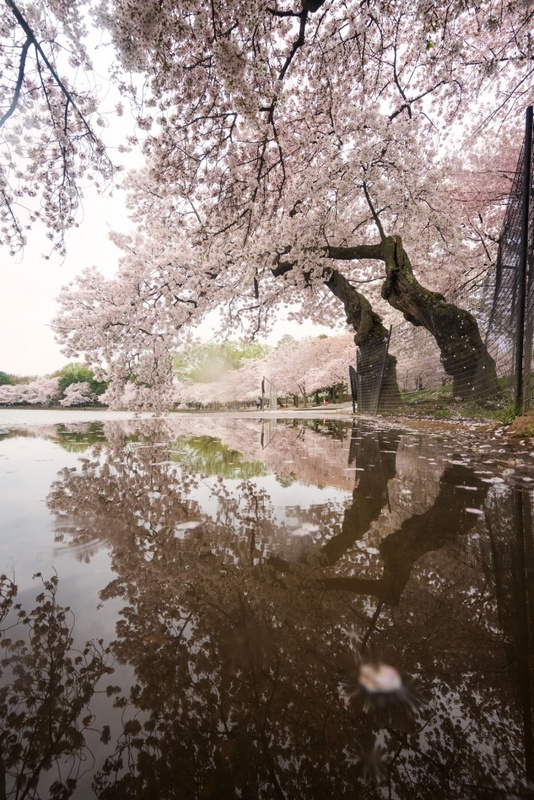 It was probably one of the most epic cherry blossom days in recent memory. It was so foggy and visibility was so low that everything else around me just disappeared. I imagine if it weren’t so foggy you’d even see a little bit of the Washington Monument in the background. My favorite part is how this tree limb is barely touching the water but the reflection is just so nice. I don’t know why but I just keep staring at the right side of this image and I love it so much. My camera settings for this image is F6.3 at 1/80th sec and ISO 200 with my Sony A7II and 28-70mm lens.